ULD400 Series – Gaska Tape Inc. Formulated for generic sealing, cushioning and sound attenuation applications, ULD400 Series is ideal where cost is a critical factor. 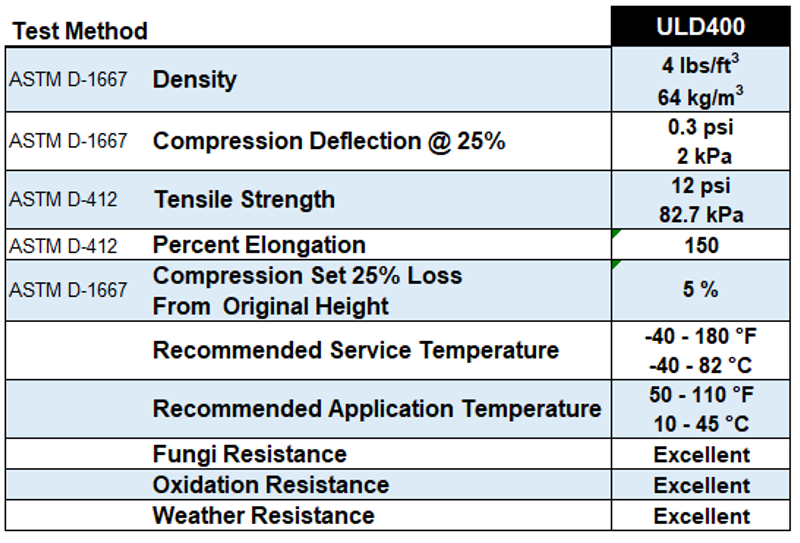 Possible alternative to low-density reeled or spooled urethane foams. Designed to solve your application problems, ULD Series will conform to irregular surfaces and curves. Available with 0.75 mil polypropylene film carrier that reduces any tendency to stretch tape during application. Low density and highly flexible. NOTES: The length of the rolls vary depending on the thickness of the material. Gaska Tape offers standard length logs. Master logs are double the standard length plus 2’ and are available upon request for quote.